Designed as a series of terrifying episodes, Resident Evil Revelations 2 unfolds across four adventures drawn taut with dramatic cliff-hangers and gripping horror gameplay. The beginning of the Resident Evil Revelations 2 tale sees fan favorite Claire Redfield make a dramatic return to the horrors that haunted her in the past . Survivor of the Raccoon City incident depicted in previous Resident Evil games, Claire now works for the anti-bioterrorism organisation Terra Save. Moira Burton, new recruit and daughter of Resident Evil legend Barry Burton, is attending her welcome party for Terra Save when unknown armed forces storm the office. Claire and Moira are knocked unconscious and awaken later to find themselves in a dark and abandoned detention facility. Working together, they must find out who took them and to what sinister end. With the terrifying Afflicted enemies waiting around every dark corner, players will need to use their ammo and weapon supply wisely, in classic survival horror style. Will Claire and Moira make it out alive and discover what’s led to them being taken to this remote island? Who else will they come across? A story of twists and turns will have players guessing the next step at every turn. 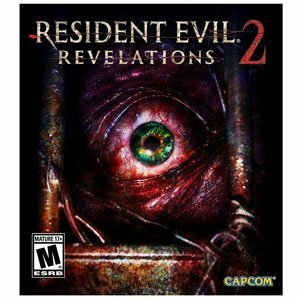 The Capcom Resident Evil Revelations 2 PS4 Playstation 4 Games was added to the PS4 Playstation 4 Games category in June 2016. The lowest price GetPrice has found for the Capcom Resident Evil Revelations 2 PS4 Playstation 4 Games in Australia is $26.63 from Amazon AU.